Baby Driver - film review | What Hi-Fi? Baby Driver feels like the film that Edgar Wright has been working towards for his whole career. His Cornetto Trilogy felt like a witty conflation of pop culture and film genres. It showed that Wright's use of music in his films, especially the criminally underrated Scott Pilgrim vs the World, wasn’t just for effect - it helped propel the story forward. Merging those aspects of his career, Baby Driver is part action, part romance and part musical - and it’s really, really good. The plot of Baby Driver won’t tax your brain too much. Essentially, Ansel Egort is Baby, a fresh-faced getaway driver who works for criminal kingpin Doc, played by Kevin Spacey. Baby wants out of the crime game, but Doc is reluctant to cut his lucky charm loose. When Baby meets waitress Debora (Lily James) he plans his escape, but before he can quit for good he has to take one last job. Baby Driver draws upon plenty of other films in the genre, with Walter Hill’s The Driver, Friedkin’s The French Connection, Mann’s Heat and Jon Landis’ The Blues Brothers featuring strongly. However, rather than wearing these influences on its sleeve, Baby Driver manages to be something wholly original. Featuring some 35 tracks in all, the soundtrack is brilliantly realised. At first it feels a little gimmicky, but the skilful combination of music and action soon becomes seamless. 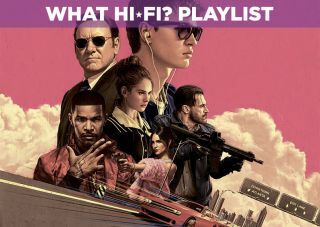 Whether it’s a song that reacts to a specific moment, a character saying a lyric in time with a song (“Tequila!”) or a track that paves the way for a pulsating action set-piece, plenty of thought has gone into creating this movie jukebox. Like Baby, you’ll want to listen to it as you drive. Baby Driver also stands as Wright’s most tonally serious film. Previous films have had a cartoonish vibe, but there’s less of the comedic tone that characterised the Cornetto trilogy, for example. There are still plenty of rat-a-tat jokes, such as Kevin Spacey’s “he puts the Asian in home invasion”, and light-hearted moments - including one criminal getting the wrong type of Mike Myers mask for a hold-up. But the more mature tone means there’s a sense of danger too, represented by a range of characters that could best be described as unhinged. A lot of that is down to Wright’s writing and direction, but the actors absolutely inhabit their roles too. Jon Bernthal’s Griff makes an early impression, while Jon Hamm’s Buddy and Eliza Gonzalez’s Darling play an enjoyably sleazy crime couple. Jamie Foxx’s ex-con Bats threatens to steal the show, while Kevin Spacey’s Doc is a ruthless schemer who keeps an eye out for Baby (if it serves his own interests). As the object of Baby’s affections, Lily James is the film’s one innocent character. Though primarily the love interest, James is incredibly sweet in the role, much like she was in Kenneth Branagh’s recent live-action Cinderella. The on-screen chemistry between Ensort and James gives the audience another reason to stay interested until the end. Engort puts in a charismatic performance as the baby-faced crim, handling the physical part well (he did most of his own stunts) but also sweet and affecting in his scenes with Lily James’ Debora and his deaf foster dad Joseph (CJ Jones). Action scenes aren’t crash, bang, wallop affairs - each set-piece differs from the one before. Whether it’s one SUV going up against another, or Baby eluding the police in a red Subaru WRX with some brilliant manoeuvres, the action is exciting, cleverly choreographed and rarely outstays its welcome. In an age of bum-numbing runtimes, that's more than welcome. While the visuals aren’t as exuberant as, say, Scott Pilgrim, Baby Driver looks great and with Wright’s regular Director of Photography Bill Pope (Spider-Man 2) lensing the film, it’s a colourful affair. Each character gets their own colour (Jamie Foxx is outfitted in red, Baby in white and blue etc), while the film makes good use of a number of Atlanta locations. An eclectic soundtrack, from Bellbottoms by The Jon Spencer Blues Explosion to Brighton Rock by Queen, the song choices feel appropriate and add to the flow of the film. Despite the range of different genres and eras, there’s not a moment where something feels out of place. Baby Driver is an entertaining and original film that succeeds. That Wright has managed to keep his idiosyncratic visual flourishes while giving the action, dialogue and characters a distinct flavour all their own is an impressive feat. We can imagine Baby Driver being a film we will come back to over and over again.